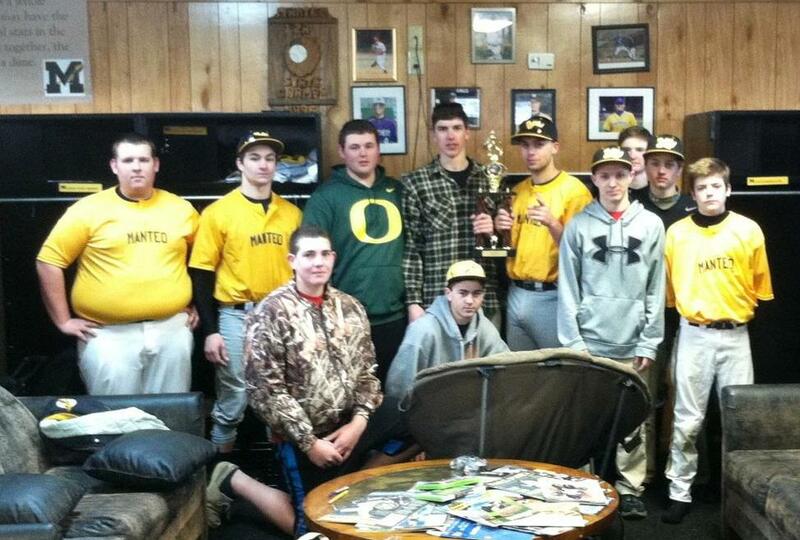 The 2015 MHS baseball program toughed out the below frigid temperatures and played in the first Black/Gold game. We had a good turnout of parents and students in the stands to watch the game, and even had an umpire come out to get some work. The game was 6 innings long and we pitched a total of 12 different pitchers. Game Recap: In the top of the first the Gold team pushed across one run. Later in the bottom of the fourth inning the Black team took the lead by scoring two runs. The Gold team immediately answered in the top of the fifth scoring three runs to retake the lead 4-2. In the bottom of the sixth inning the Black team put up a rally loading the bases with one out. The following batter hit a low line drive which was dropped by the short-stop who then turned a double play to end the game.